Your SEO efforts are only as good as the limits of your website platform. Our SEO friendly Web design services create sites that are appealing to both users and search engines. We make the right adjustments so the search engines can easily index your website, and our Web designers make sure the site is aesthetically appealing and converts traffic into sales. Leveraging a superior brand promotes attention, loyalty and profits. Our specialists will increase your brand equity by ensuring it is positioned appropriately, distinguished from your competition, and memorable. View samples of our brand and logo development. 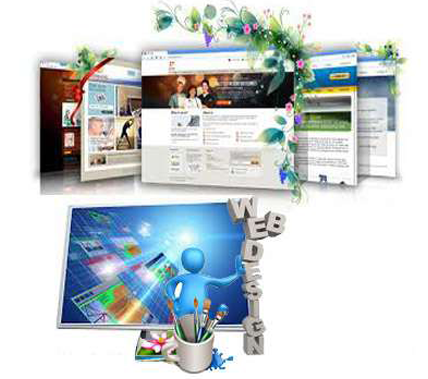 SEO-friendly Web design must also be user friendly. Our information architecture process will help you determine the objectives you would like your customers to reach on your site. Then, we evaluate your site from their point of view, analyzing what your clients would like to see, what goals they come to your site to accomplish. We strive for balance, putting your objectives into the site in the terms and framework the customer is looking for. We provide in-depth recommendations, both in terms of structure and technique, and implement the best calls to action to guide customers to site objectives. Our experienced SEO website design professionals understand both design and how the search engines work. They specialize in search engine friendly Web design strategies that look beautiful and help sites rank well in the search engines. View samples of our search-friendly web design. We can code, build and deploy superior cutting-edge websites drawing from time-tested “best practice” methodologies, which include usability, compatibility and search engine optimization. We can help you get started with the WordPress open source publishing platform for your website or blog. WordPress focuses on aesthetics, Web standards and usability. It allows design flexibility and creates the best possible user experience in a search-friendly manner. Once you get started, you can quickly and easily add new content to keep people and search engines coming back often. We can design, develop, deploy and/or integrate a range of software into a website. Whatever your individual needs may be, we can help you build an innovative and useful website. Customers expect you to offer a secure and reliable system to conduct business. We can help you add or upgrade your shopping cart to deliver highly-secure, deeply trackable, and convenient transactions. The Web is going social. Are you part of the trend? We will help you design and develop applications, tools, games and widgets for social networking sites specific to your business or industry. A con1t strategy is extremely important when you are creating a website. By creating new and unique content, you can optimize your site for the search engines and give your customers something worth reading. Our writers can produce professional, unique content that delivers a clear and optimized marketing message. We will help you systematically upgrade and enhance your website’s functionality, design and content over time to steadily improve key performance indicators. To achieve and maintain high rankings, it is important to keep your website interesting, fresh and in working order.